Create two great stylish looks with the Pallabrouse Baggy L2; Carry the cover up or down. These boots are made of dyed leather, which gives a vintage and soft effect. The sole is polished. The single-piece rubber sole gives an excellent grip when exploring the city. The EVA footbed and the tight heel provide lasting support. Palladium was founded in 1920, and the French brand made tires for the aviation industry. These tires were made of multilayer canvas under vulcanized rubber. This technique was so advanced at the time that almost all European aircraft used tires. After the Second World War, demand decreased dramatically, and Palladium decided to focus on shoes with the same durability and quality as their tires. In 1947 the legendary Pampa was born. 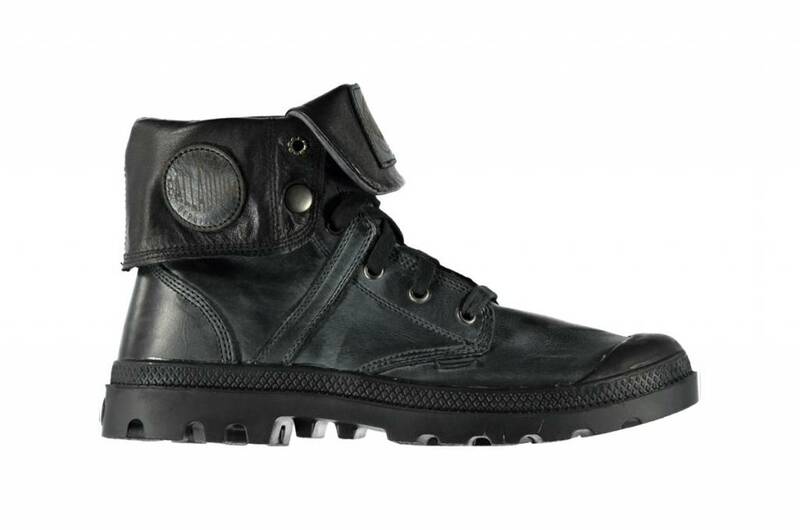 The functionality, comfort and durability were so extraordinary that even the French Aliens Legion wore it up.